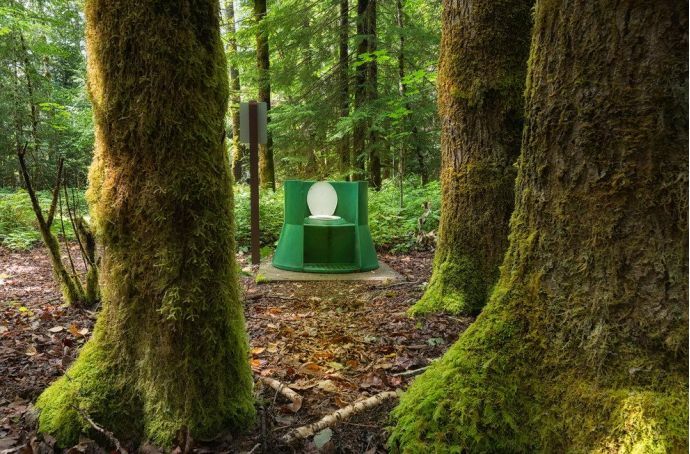 Instead of traveling to a destination, make these toilets your travel destination. Pooping is perhaps the most important thing in your daily chores. Whenever you are at the receiving end of nature's call, you cannot ignore it. When you gotta go! You gotta go! It’s also important that the toilets are clean, as bad hygiene can wreck havoc with your health. Especially when you are traveling, you always have to look for a clean hygienic place to poop. 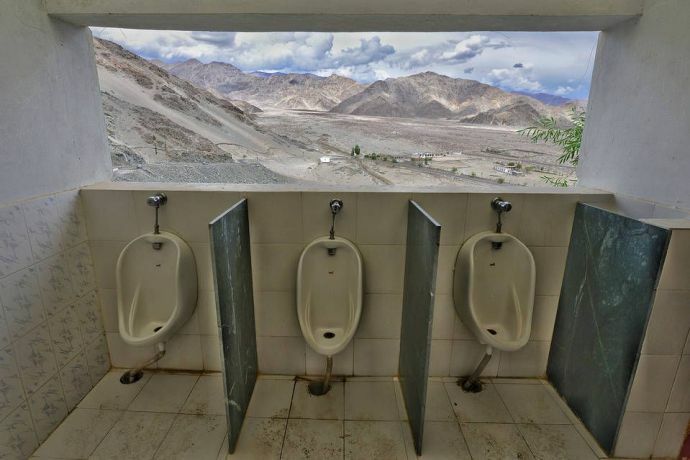 So instead of traveling to a destination, make these toilets your travel destination. 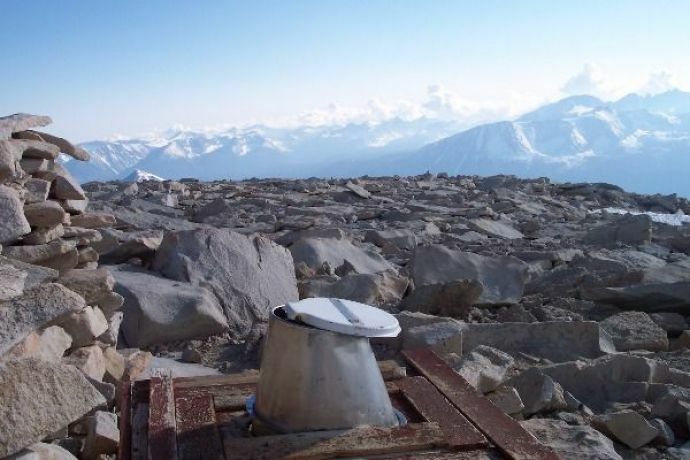 The hut toilet dominates Salmivaara Fell. It is on a 500-mile trekking route through Finnish Lapland called the Nordkalottleden Trail. It’s a lonely hut, so you are less likely to find a queue. 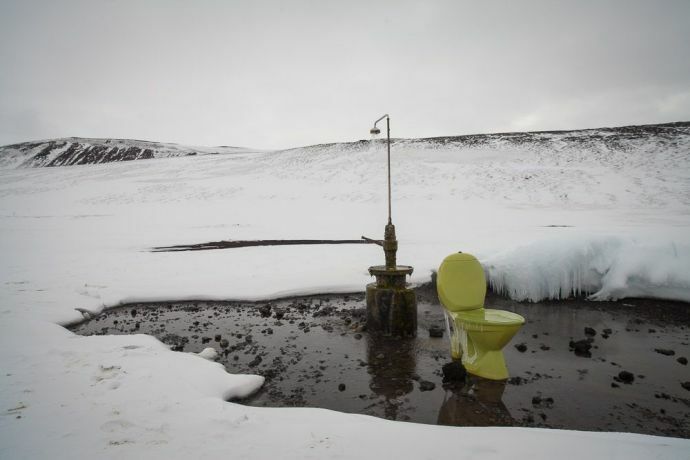 It’s a mystery about who installed this toilet/shower set up near the Krafla Geothermal Power Station. But it is the coldest and least private toilet you’ll ever see. 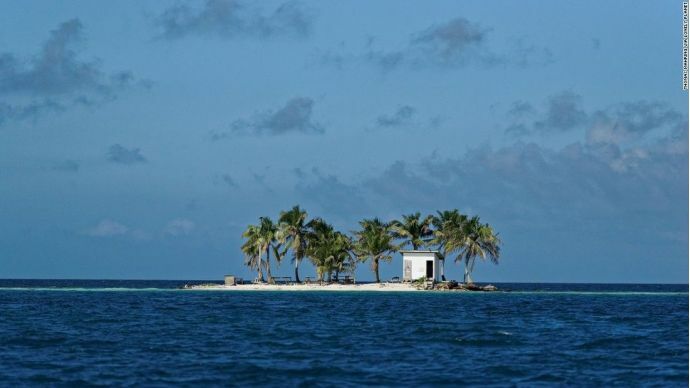 It is also known as the toilet island. This entire island is dedicated to loos. 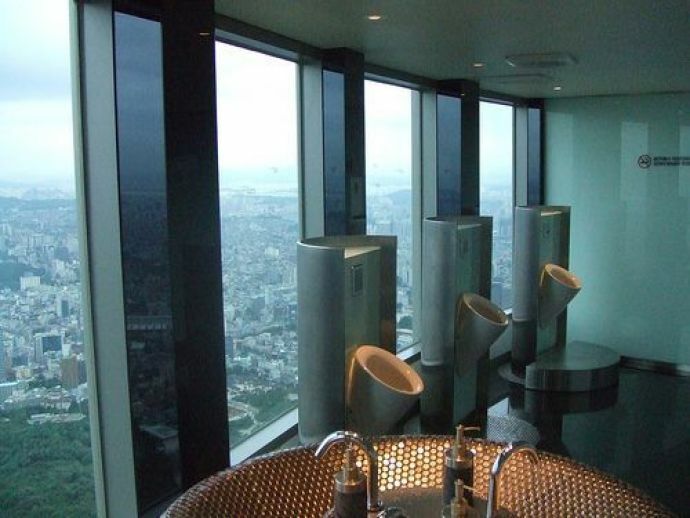 The most private toilets you could ever find. Situated on a hilltop about 12.5 miles (20km) from Leh in Ladakh, India, Thiksey is a Tibetan Buddhist monastery of the Yellow Hat (Gelugpa) sect. Lamas here lead a calm and peaceful life. While trekking on the edge of this 4,600m cliff up on the flanks of Mt. 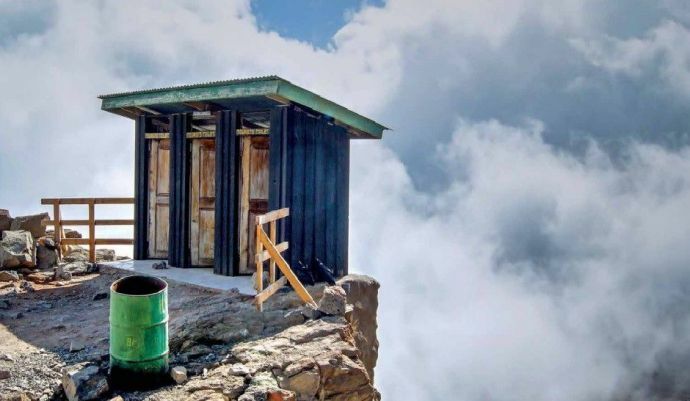 Kilimanjaro in Tanzania, the Barafu Camp khazi takes the concept of a long-drop toilet to a next level. One needs to be cheeky while dropping a deuce over here. 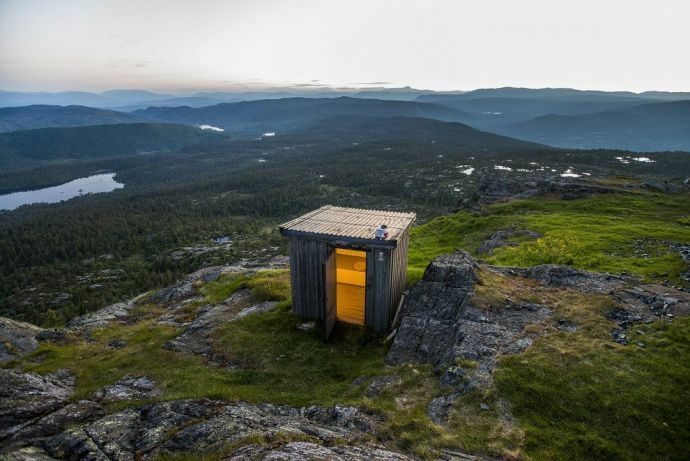 This loo is located on the wrecky edge of the Jonsknuten in southern Norway at the peak of the 2,966 ft (904m) mountain. Situated at the Seoul Towers, you may spend few minutes figuring whether it’s a sink or a loo. Also, whether you have to sit and stand while doing your thing. But one thing is for sure, that you’ll enjoy the mesmerising view while you are there. "Someone once dreamed of turning Arta Plage — a French military training area in the Djibouti desert — into some sort of Gulf of Aden oasis. 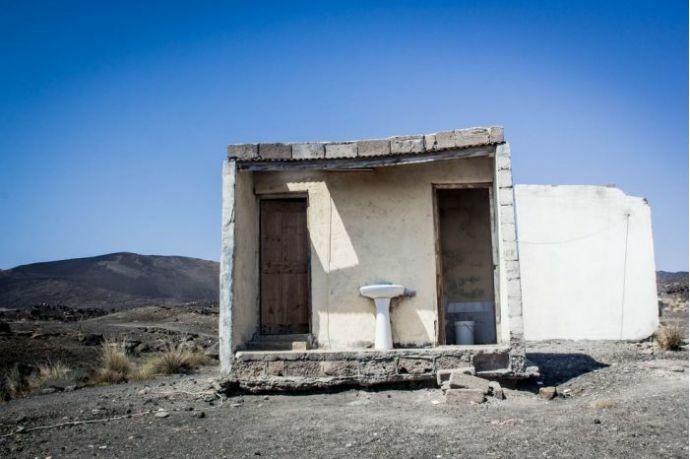 It hasn't happened yet, but they did get as far as building toilets — but you do need the courage of a commando to venture inside." 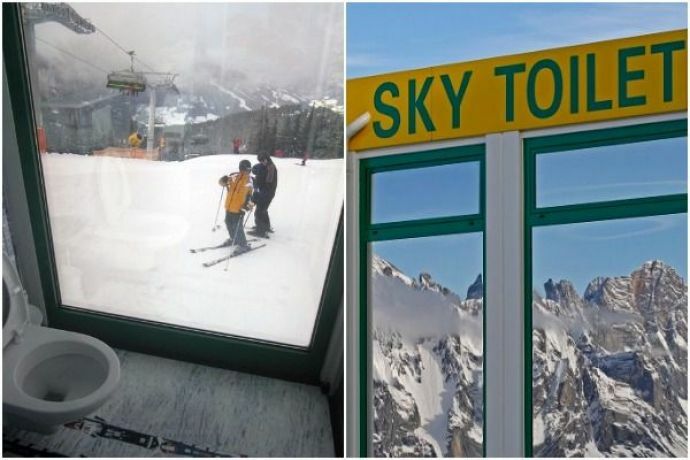 Also known as the Planai’s sky toilet, it is the most confusing toilet you will ever use. Sitting inside you are always conscious whether the glass is see through or not. 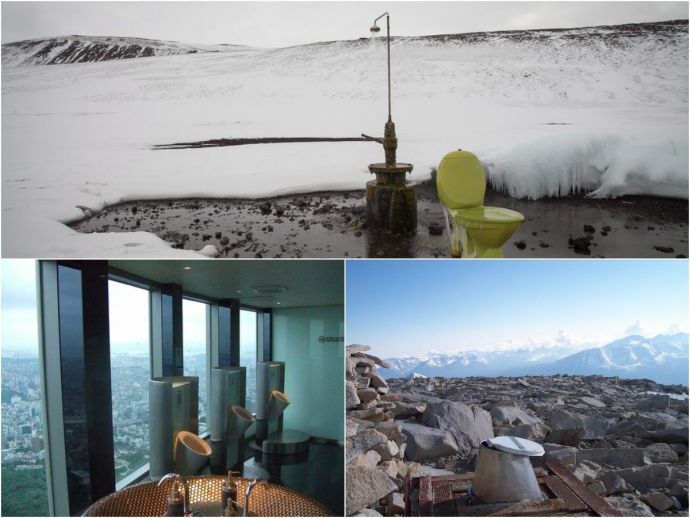 You can enjoy the breathtaking view of ice and mountains while pooping. 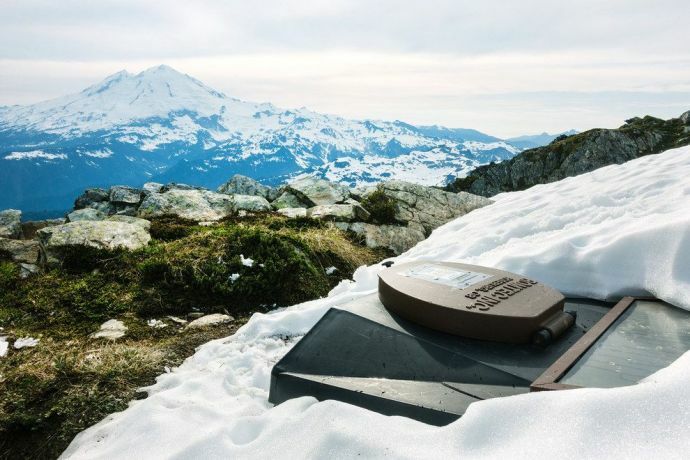 For all the daredevils, this loo is situated at the peak of the highest mountain in the contiguous United States. 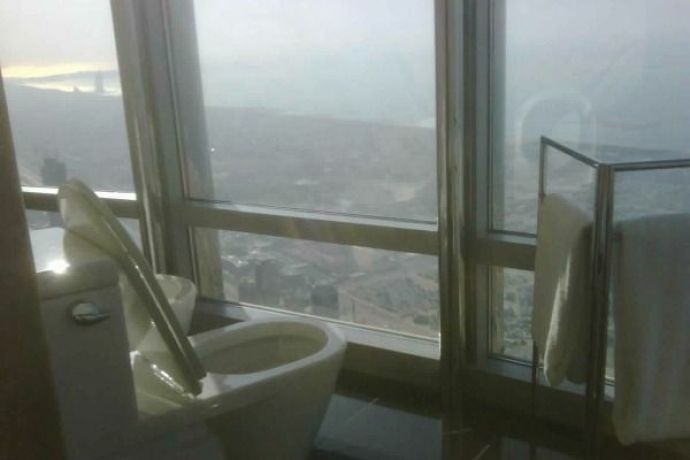 Imagine pooping at the top of the world’s tallest existing building. It’s not only luxurious and comfortable, but also gives you a an experience and view like never before. 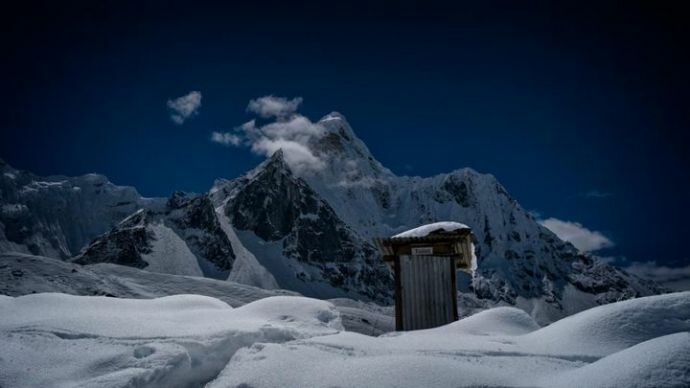 This perfectly positioned throne is situated at the at the lodge-village of Chukhung, 6,560 ft (2000m) beneath the summit. Appreciate the beauty of eastern Nepal’s Ama Dablam (one of the Himalayan Peak) while attending the nature’s call at 22,350 ft (6812 m) height. You will find it at the Mt. Shuksan Sulphide Glacier base camp. If your are lucky to experience a clear day, you will be able to enjoy the grand view of Mt. Baker. It is only 11.8 miles (19 km) shy of the Canadian border. This uber green composting machine is situated at the Taylor Arm Provincial Park, a raw wilderness area on the north side of Sproat Lake in British Columbia, Canada. Enjoy the nature’s beauty while attending the nature’s call.